Central Virginia is expected to receive a light snow overnight, and VDOT advises motorists to be careful. Meteorologists have increased projected snowfall totals for Central Virginia, with some areas expected to see as much as a foot of snow. 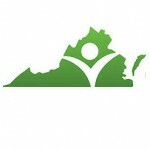 FeedMore recently held the first Commodity Supplemental Food Program (CSFP) distribution in the state of Virginia. Over the past week, I had the opportunity to meet with our local first responders throughout Central and Southside Virginia. Warmer weather has ushered in pavement improvement season, which extends from spring to November. Eleven law enforcement agencies in Virginia will implement or expand their use of Lethality Assessment Protocol. Virginia Organizing leaders are working with several Central Virginia hospitals to improve services for the deaf community. Devils Backbone Brewing Company introduces Cran-Gose, a tart cranberry ale (4% ABV) that launches the 2016 Daypack Series. 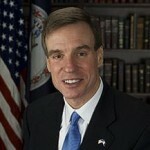 U.S. Sen. Mark R. Warner will kick off five days of travel throughout the Commonwealth for a series of meetings and discussions. Motorists are likely to face slick road conditions in Central Virginia as tonight’s rain turns to snow early Tuesday morning. VDOT crews will be on duty to watch for refreezing of melted snow and slush, and treat roads with salt and sand as needed. Virginia Department of Transportation crews will continue snow-removal operations overnight Tuesday and Wednesday morning. Virginia Department of Transportation crews anticipate completing at least one pass through all secondary roads in the Culpeper District sometime Monday evening. The Virginia Department of Transportation remains fully engaged in snow removal operations in Central Virginia. Virginia Department of Transportation crews, assisted by contract equipment and operators, are continuing to plow secondary roads across Central Virginia. Crews with VDOT have worked steadily overnight to remove up to 30 inches of snow from the interstates and primary highways of Central Virginia. Heavy snow is falling across central Virginia and highways throughout the region are snow covered and slippery. The National Weather Service has issued a Winter Storm Warning for the Shenandoah Valley and Central Virginia beginning at 8 a.m. Friday. Winter Storm Watch: Historic snowstorm on the way? A Winter Storm Watch is in effect for the Shenandoah Valley and Central Virginia with a possibly historic snowstorm headed our way on Friday. Nor’Easter to impact #13 Virginia home game with Syracuse on Saturday? Central Virginia is in line to get up to a foot of snow Thursday night into Saturday, potentially impacting #13 UVA’s noon Saturday tip with Syracuse. The Chief Medical Examiner unveiled the facial approximations of eight individuals found dead in Central Virginia, but who have not yet been identified. The Blue Ridge Area Food Bank is calling on residents in Central and Western Virginia to consider joining #GivingTuesday, a movement to celebrate generosity and encourage philanthropy. The Virginia Department of Transportation is providing motorists with extra services in the Shenandoah Valley and Charlottesville areas for the Thanksgiving holiday period. Travel times will be shown on portions of Interstate 81 and I-64. Additionally, Safety Service Patrols will be expanded on Sunday, November 29. A collection of 11 pick-your-own farms in Central Virginia, operating as the Blue Ridge Fruit Loop, are offering some of the state’s freshest fruits available between May and December. More families in Central and Western Virginia continue to struggle with hunger during the weak economic recovery, according to results from the recently released Map the Meal Gap 2015. The National Weather Service has issued a Flood Watch for a region stretching from Augusta County to Page County in the Shenandoah Valley and over into Albemarle County and Nelson County in Central Virginia that is in effect from 2 p.m. Sunday into the overnight hours. VCC continues to make progress throughout Virginia by providing innovative capital and collaborative leadership promoting vibrant local communities and enhanced quality of life for residents. Paving season has arrived in Central Virginia, where the Virginia Department of Transportation’s Culpeper District has plans to resurface 322 miles along state-maintained routes in its nine counties. Hearing Healthcare of Virginia, which has served the Shenandoah Valley and Central Virginia and their surrounding communities for more than 10 years, is now offering CaptionCall. The National Weather Service has issued a Winter Weather Advisory for a wide area stretching from Augusta County into Central Virginia and north to the upper reaches of the Shenandoah Valley. Motorists should expect variable road conditions throughout the Shenandoah Valley tonight. Temperatures are hovering on either side of the freezing mark. A mix of rain, sleet and snow should be expected throughout the night. Join the Richmond Symphony for Pinocchio’s Adventures in Funland! on January 24 at 6 p.m. Young and old will love this lively re-telling of the classic children’s story of Pinocchio with the Richmond Symphony Lollipops. The National Weather Service has issued a Freezing Rain Advisory for a large swath of the Shenandoah Valley, Central Virginia and into the D.C. Metro area tonight into Monday morning. Earlier this month, The Paramount Theater opened its doors to forty-two local nonprofits for the third annual Alternative Gift Fair and with the generous support of the local community raised over $13,550. The National Weather Service has issued a Freezing Rain Advisory for Augusta County, Staunton, Waynesboro and into Rockingham, Albemarle and Nelson for Monday morning. 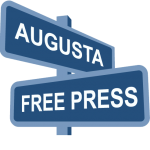 Augusta Free Press is set to debut a new print magazine in January. 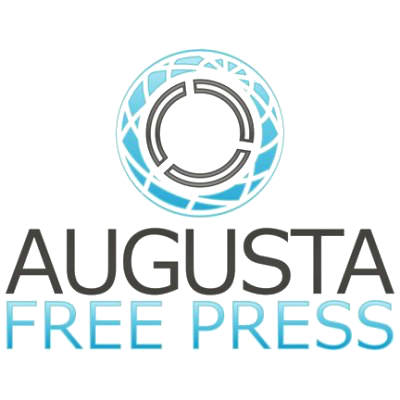 Titled Augusta Free Press: The Magazine, the publication from the award-winning AFP will feature local news, politics, business and lifestyle trends in the Shenandoah Valley and Central Virginia. 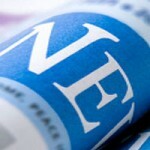 Editors Chris Graham and Crystal Graham talk up the project in this edition of Inside the Newsroom. Around the country I’ve traveled, thriving on talks at indie bookstores from Seattle to Portland to Boston to New York to Little Rock to Greensboro and throughout Virginia. One shop stands way out. No place won my heart like Stone Soup Books and Café in Waynesboro, VA. Housed in a 120-year-old formerly abandoned home, Stone Soup embodies the spirit of independently owned bookstores. The National Weather Service has issued a Winter Weather Advisory for the Shenandoah Valley and Central Virginia in effect from 1 a.m. Tuesday to 1 a.m. Wednesday. 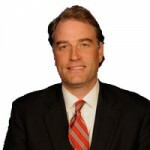 First Bank will acquire the branch banking operations of six locations in the Shenandoah Valley and Central Virginia regions from Bank of America. 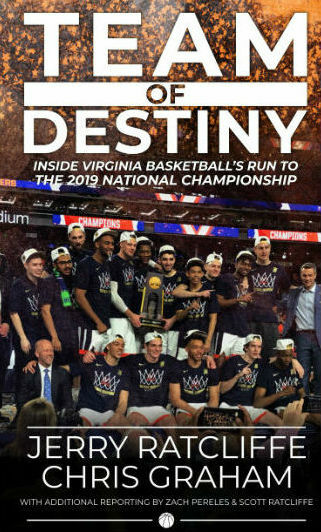 UVA President Teresa A. Sullivan said the school’s guide to its future, the Cornerstone Plan, made good progress in its first year. Interstate 64 eastbound is closed at mile marker 131 in Fluvanna County. 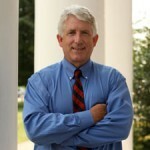 A crash involving a fire truck and a tractor-trailer hauling hazardous materials occurred just after 7:30 a.m.
Attorney General Mark Herring announced donations today to 11 Virginia charities, closing out the funds donated to his inaugural committee in accordance with Virginia election law. 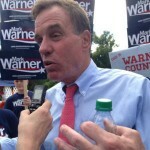 Democratic Sen. Mark Warner didn’t run like an incumbent upon 25 points in the polls in the early summer. He must have seen something that the rest of us couldn’t see.